Waiting for a DVD to get done, figured I'd throw some garbage I wrote recently up here. The room was dark, darker than she had remembered it, but she still navigated through it without pausing once to avoid some possible obstacle she was unaware of. She could hear the clicking in the distance and she had to get to it, she did not know why, she just knew it was what had to be done. She quickly neared the door, the outline of it showing just barely from a flickering light within. What was on the other side she did not; could not; know. A sound echoed from behind the door, a chair scraping across the floor she thought, or maybe just hoped. She stopped a few inches before the door and listened intently, the scraping noise came again but this time with it she heard what sounded like a whimper. This noise delayed her from opening the door, she decided to continue listening instead. As she stood there she heard the scraping noise again and the whimper with it, albeit louder this time. The scraping continued for a good thirty seconds, the whimpers increasing in volume as it continued. As they suddenly ceased she reached out for the door knob but as her hand touched it she heard a loud roar, what she could only picture was a chain saw, it barely managed to muffle the screams that suddenly poured forth from the doorway. Dunno what the purpose or direction of it is but Lana made me write it, so yeah. She awoke to the sound of screaming, this time, however, she knew what it was and why it was happening. "Lana! Get the hell up you're going to be late for work!" her mother screamed from the bottom of the stiars. She slowly arose, shaking off the remnants of the dream, or was it a dream she considered. The memory of it seemed much more vivid than any dream she had ever had before. She sighed and got up anyway, running for her closet to gather her close and get ready for work. Downstairs her mother wandered off into the kitchen to fix breakfast, a smirk across her face. Lana quickly dressed and came downstairs, barely having time to run a brush through her hair. She waved to her mother and rushed out the door to her car. As she exited the house she realized something was not right, she quickly turned around and suddenly everything went black. She was still conscious but she could not see anything but the outline of the door before her and a strange clicking noise coming from within. She blinked a few times and reached for the knob. Guess these can work here...most are from my recent failed shooting trip. Rock mountain off the side of the freeway. Some cows we saw on the way back from the failed shooting trip...sadly they were too far away for any good shots. Another log from Mount Laguna. Just found the clouds kinda freaky. Pictures of my house when it was first built and a shot of my great grandmother, grandmother and aunt (or whatever my grandmother's sister is considered). As usual the real version of the picture is really huge but looks a lot better. That thing looks like a tiny dinosaur!!!! Adam wrote: a shot of my great grandmother, grandmother and aunt (or whatever my grandmother's sister is considered). Great aunt? Cool pics, Adam! GuoBia wrote: That thing looks like a tiny dinosaur!!!! That's actually one of the smaller lizards we get in our backyard...the construction on the slope outside the house seems to be making them scarcer though. 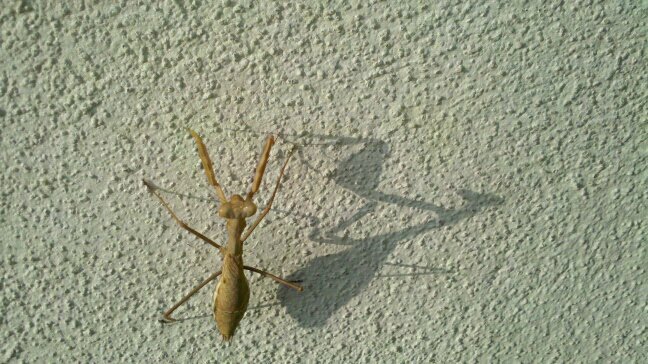 Found this crawling on my wall a while back...got several shots of it but this is the best one (albeit in low quality since the good version's on my phone and I'm too lazy to get it). I can't bring myself to read most of the stuff I wrote here. Though I am now technically a published author based on stuff that's probably way worse in reality. ...literally waiting for Amazon to load my latest book preview so I figured I'd wander on here and scare myself.